Quickly and easily identify top quality tenants! 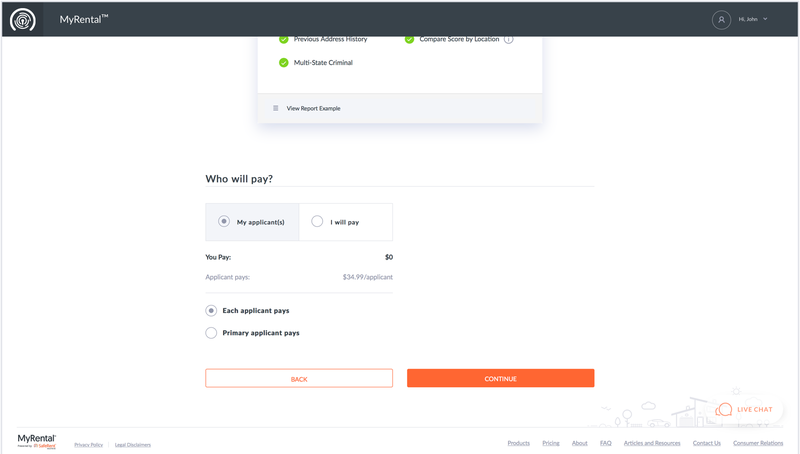 Fill vacancies faster by giving your prospective tenants a free, mobile-friendly way to submit applications online, with the option to include a background check. Gather the first, last name, and email addresses of the applicants whom you would like to create a rental application for. Step 2: Set Up User Account. 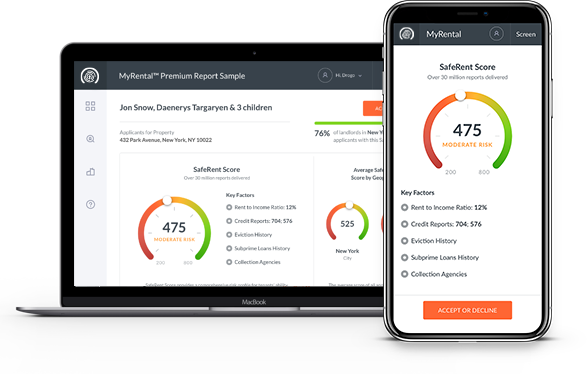 Sign Up for your MyRental LandLord / Agent account. Step 3: Start the Rental Application process. 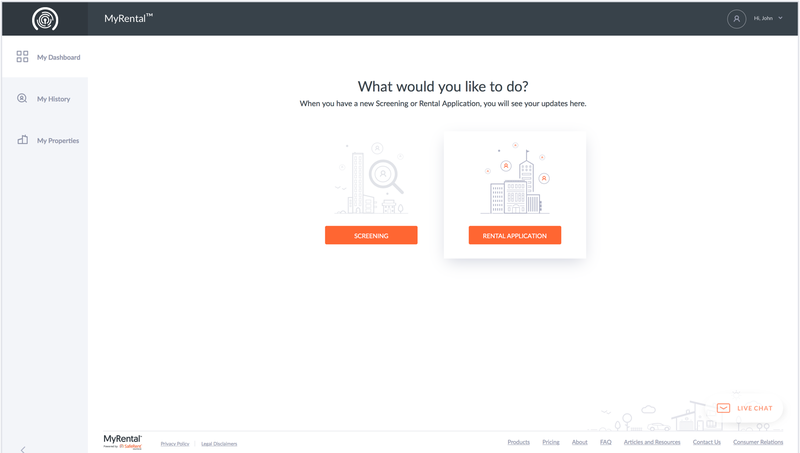 Select ‘Get Started’ and ‘Rental Application’. Step 4: Set up Property. 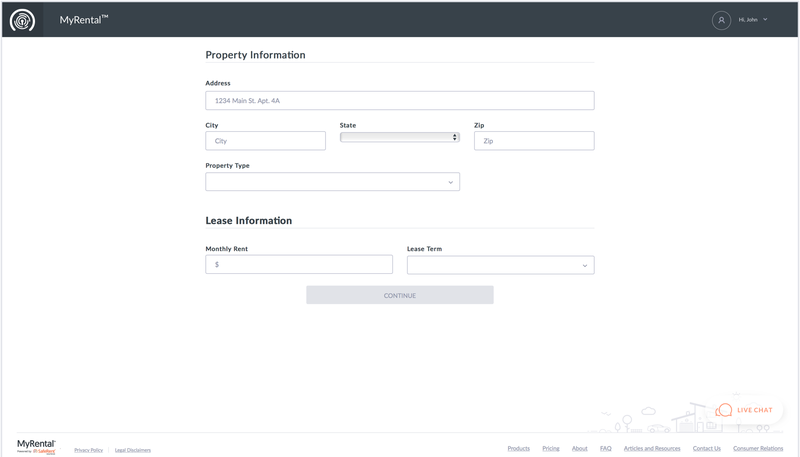 Fill out the rental property information, including address, monthly rent and lease term. 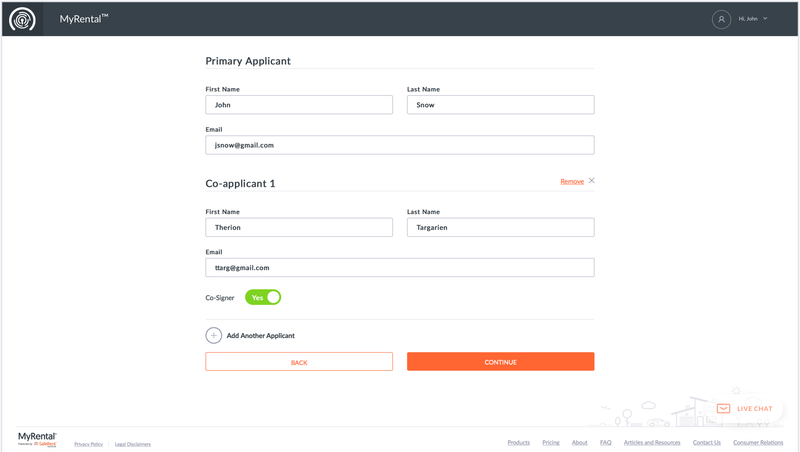 Step 5: Add Application Information. Fill out the applicant(s) information, including name and email address and any co-signers if necessary. Step 6: Specify Required Documents List. Select additional documents you would like the Applicant to provide along with the application. Examples include: Copy of Driver’s License, Pay Stub, etc. Step 7: Choose Screening Option. Decide whether to include a credit and background check for your applicant(s). 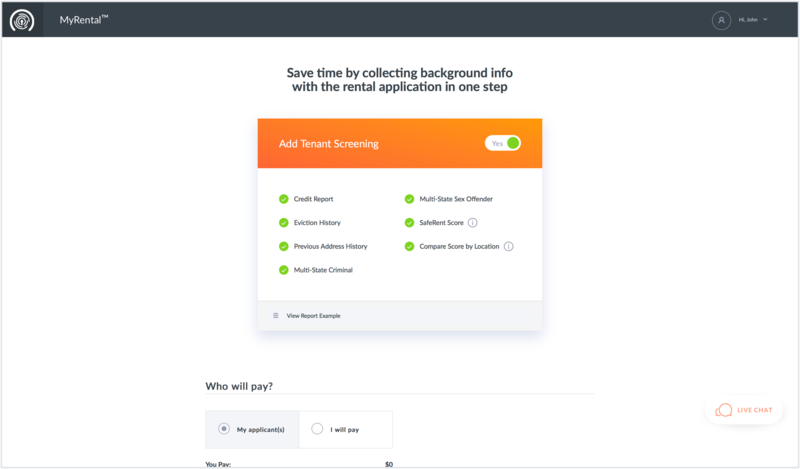 The screening can be sent after tenants submit their application or be completed alongside the application to save you time. Step 9: Review and Confirm. Carefully review all the details of the application and make any edits using the pen icon. Enter promo code if you have one. 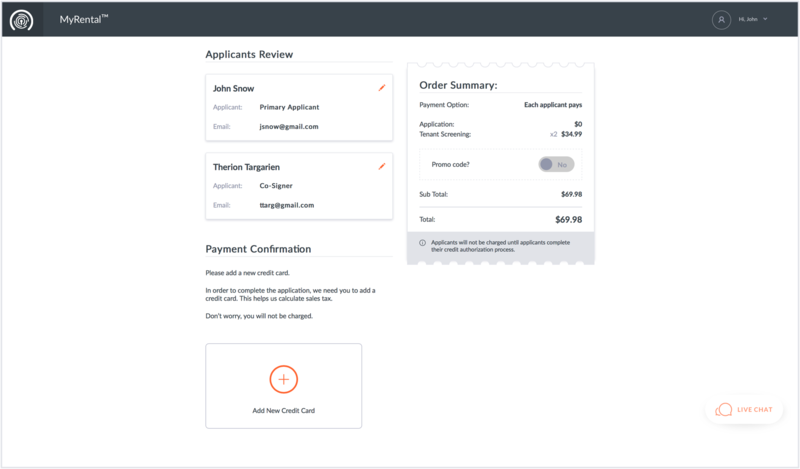 If this is your first screening/application in MyRental or I you have selected to pay for the screening by yourself, you will be asked to enter the Credit card information. If you are not the payer don’t worry, you will not be charged. This helps us calculate sales tax. You will receive a confirmation that the application was sent. You will be notified once the application and/or screening is completed and ready to be viewed. You may check the status of the application and/or screening on your homepage. © 2019 CoreLogic Rental Property Solutions, LLC. All rights reserved. No portion may be reproduced in any form, or by any means, without the prior written consent of CoreLogic Rental Property Solutions, LLC.